Kay Ryan is the latest Poet Laureate announced by the Library of Congress. She is the 16th Poet Laureate, and I am thrilled that our new poet laureate has experienced a calm and quiet career. It’s time for her to come out into the light and inspire budding poets and bring poetry to the forefront of the literary world. 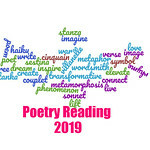 I often wondered what the purpose of the Poet Laureate is, but according to Wikipedia, the poet laureate is called upon to write poems for state occasions and attend government-sponsored functions, like the Washington D.C. Book Festival this September. Some familiar names will be at this year’s book festival: Tiki Barber from the NFL, Dionne Warwick, Bob Schieffer, Cokie Roberts, and Neil Gaiman. I hope that with each new poet laureate, poetry garners greater standing in the literary community. Unfortunately, it does not look like any other poets will be attending the D.C. Book Festival except Kay Ryan.